Now that the iPad Mini has been unveiled, what are your thoughts? It seems like people would be concerned about resolution and pricing. The resolution is the same as the iPad 2 instead of the 3rd or 4th generation iPad. Then you have the pricing that is about $100 more than the competition. In Apple's defense, you have the quality hardware and software mesh and the ability to connect into the Apple ecosystem. Plus, it's very light. 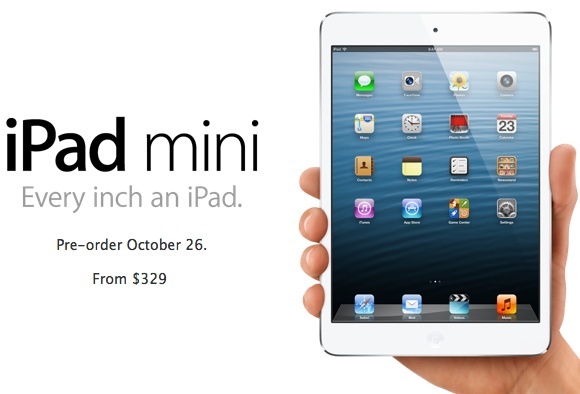 With the holiday season around the corner, we will see how well the iPad Mini sells. Below is an article that goes into more detail about the pricing for the iPad Mini. Also, there is an article about people selling their iPads as they get ready for replacements.